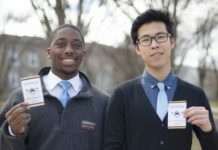 In 2003, at 8 years old, Edwin Sam packed up a childhood in Ghana, Africa, and moved to Rhode Island with his older siblings. Now a junior computer science major at the University of Rhode Island, he plans go to back one day– just temporarily. He mentioned how his extended family came to wish him and his older brother and sister goodbye, how him and his older brother got all dressed up (“suit and tie”, he laughed) for the flight, how some of his family stayed at the airport until the plane took off. 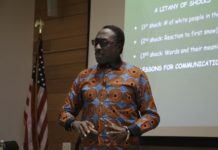 Â He spoke fondly of Ghana, mentioning how he still keeps in contact with his extended family there and has visited since his move to Rhode Island. According to Sam, winter was the most immediate shocking transition to America. “…it’s like- you know how international flights, you never really go outside once you’re on the plane, you’ll go through like a tunnel? So it was kind of cold in there [the tunnel], and we had never really experienced cold weather, so when we were in there we were like ‘Oh this isn’t too bad, it’s kinda cold’. But then as soon as we got outside, that’s when it was like freezing. (laughs). And I was like ‘I can’t take this’. So that was kind of a weird transition, a hot area to a cold area”. 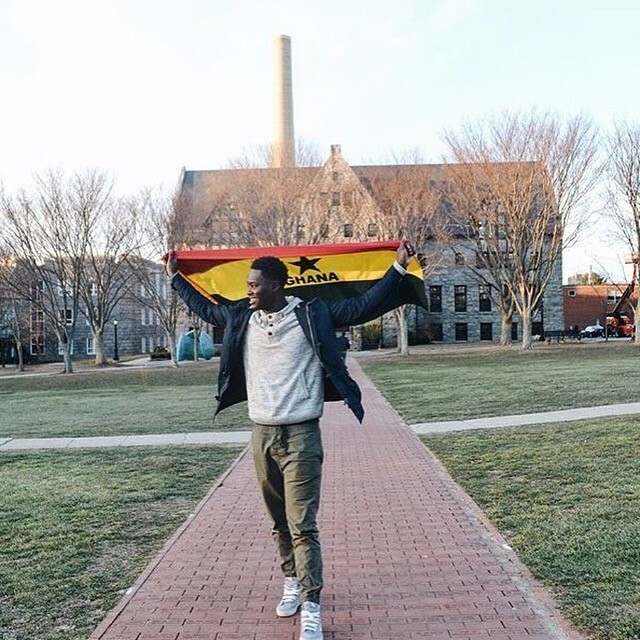 Another large contrast between Ghana and Rhode Island, Sam said, was the lack of a sense of a close community that he finds in Riverside, RI. In Ghana, the community was your family, neighbors were close and friendly to everyone – he hasn’t found America to be that open. However, Sam has created a sense of community for himself at URI. 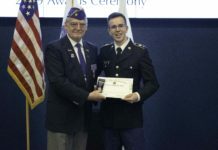 He was a URI 101 mentor and he is a brother of Sigma Pi. He is also a member of BOND, NSBE, and was a finance committee member for the DIVE conference. One of the main reasons Sam and his family moved to America was the greater amount of opportunity available here. Â Sam plans to move to the West Coast in order to pursue a career in computer science, as tech companies are at their prime there.